The sun is shinning! Sunshine is one of the best mood boosters for me. Give me a little sunshine, even if it's just for a little bit and I'll be as happy as a clam. And today, my last full day in Mystic for this trip, there is nothing but blue skies and sunshine filling the skies. Which is just what is needed after some relatively gloomy weathered days. I'm also at that point now, where because I have so many things that are happening and need to get started/done when I get back home, that I am looking forward to getting back to my routine. Even though I would much rather just stay here for the next weeks, it will be nice to just go home, and plow through the last of this semester... the last of my bachelor's degree... *internal screaming*. My thesis is due in exactly one month and in two months I'll be completely done with exams for this degree. Woo! Now I just need to get there calm and collected. Thank you meditation and yoga! But for now here are five things that have make me feel happy and grateful this week. There have been so many more things this week than just this lists tells but it's the Happy 5 list, not the Happy 87 list, so I have to be selective. 1. Sunshine. Always and forever on my happy list. 2. Walking through the streets of New York. 3. Whole Foods + enjoying all the American goods that I can't get at the health food stores back home. 4. Reading the couch, snuggled up with Skipper and a blanket. 5. Family and friends time. Happy Friday from the airport! Woohoo! I am heading to one of my favorite happy places for the next week and I could not be more excited! Excited for a week of summerhouse vibes, family and lots of hygge. Lots and lots of hygge with reading, some good movies and maybe a little baking. But for now, I'm looking at a 7 hours flight, followed by a 2.5 hour car ride - that includes a stop at Whole Foods. For those who know me, know that Whole Foods is one of the things I miss the most about living in the US. Which I know sounds ridiculous, BUT if you've been there, you might know what I mean. If not. Then yes, I'm a little crazy. 1. Having a crazy busy but productive week, getting ready for vacation. 2. The bliss balls I made yesterday for our travels today. 3. A girls night on Wednesday with pizza, brownies and Bridesmaids. 4. Getting to snuggle up with my little puppy last night. 5. The long hot bath, I got to enjoy last night (#selfcare). Once again, we make it to Friday! Another week has come and gone, since the last Happy 5. Which means another week has come and gone with new and old things and events to be grateful for. Being grateful for the little things, just as much for the big things, has had a really big impact on my life, in such a powerful way. This past Sunday, I shared my Meditation post. This was a post I had been working on for weeks, and I am so happy that so many of you really love it. My meditation is one of those little things, that I am grateful for each week, well, more like every day. Which is why I want to mention the post again here today. We can learn so much about ourselves, from meditation and it really aligns with the concept of being grateful. 1. meditation and everything it has given me and my life. 2. working out with friends. 3. reading "The Surrender Experiment" by Michael Singer. 4. finding the amazingness that is goodreads.com. Which is also an app! 5. honestly, just being grateful and excited for the prospect of Spring. Aka hearing birds chirping, even though it's still freezing and windy outside. I am having such an exciting and wonderful Friday today and it's been the craziest week, so I am soaking it all in. So I'm just sending extra happy vibes to you all today. This is the funny thing about life, it hasn't even been that crazy of a day. One little crazy thing, but I'm going to keep that secret to myself for a little bit. Maybe it's the gratitude for the fact that it's the weekend in just a few hours or maybe just because some days are just good, for no apparent reason. Here's the gratitude list for this week! 4. Hyggelig weather. Event though I am very much ready for Spring, this cozy, snowy weather we've had this week has been super hyggeligt. Probably because most days this week, I've been working/studying from home, which means being able to enjoy it from the comfort of my desk at home. But, with that being said. Spring... please do come soon. I'm ready to pack away my boots and winter coat. 5. Simply having a productive week has been really amazing and I'm just grateful to have accomplished my to-do's. I'm a big list person, so being able to complete all the things, I've wanted to this week, is incredibly gratifying. Might sound weird, but I love lists! Wishing you all a wonderful Friday and a relaxing weekend! Now I'm going to go make chocolate covered strawberries and prep buddha bowls for my cousin and I! After quite the little (actually quite long) break from writing Happy 5's, they are finally coming back to Candid Camille. My only excuse, and it really isn't good enough, is that these past couple of months have been busy, busy, busy. From writing the Fitness By Candid Camille ebook, to studying for exams at Uni, to finishing up my Health Coaching degree from IIN, to the holidays, the blogs Christmas Advent Recipe Calendar, to just life simply being, busy. Which is totally fine, and I have come to terms with the fact that this was the thing that I had to "give up" in order to get everything else done. But now it's time to get back to something that I actually cherish very deeply. These Happy 5's actually mean the world to me and I can tell that I have really missed them and missed what they have given me each Friday that I have written them. To any newcomers to Candid Camille, Happy 5's are simply a list of 5 things, that I share every Friday, that I am grateful for or have brought me happiness at some point during the week. This is something I've been doing for a while now, and also one of the things that sometimes gets a little break on the blog. BUT I think it's actually and incredibly important part of my week and I need to start respecting it and cherishing it, even more than I already do. 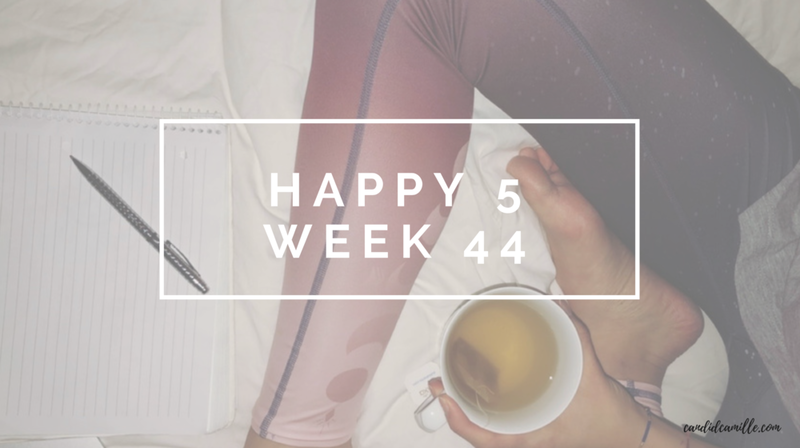 Taking 5 minutes (sometimes even less) to sit down and write (or type) 5 things that have made you happy this week, is truly powerful and I strongly believe that it is something that we should all practice. More appreciation for the little things in life is never a bad thing. With that being said, here are my Happy 5 for the week - currently being reported from our last day in Italy on ski holiday. 1. Fresh mountain air - nothing better than a deep breathe of fresh mountain air to kick start your system. 2. Active vacation with my family - I love chill vacations with lots of relaxation, but being so active and truly physically tired at the end of a day of skiing is definitely something to be appreciative of. 3. Pasta. Yes that's right! The real, gluten filled, spagetti that simply needs to be enjoyed when visiting Italy. Not just because balance in life and what you eat - but because its freaking delicious and it brings me happiness to enjoy genuinely good pasta. 5. Spending time with people I love. This will always bring me joy, even if sometimes this time also includes arguments and complicated time. It's all a part of life. It's all a part of family. What a week. I swear I say this every week, but every new week seems to surprise me, enlighten me and leave me feeling both tired and full of energy. I know those two completely contradict each other but it's true. That only way I can describe it is in the sense that my body and mind are tired from a busy week but I feel like bunch of light and energy inside of me. This energy is excited and feeling giddy about what will happen next week and the week after that and so on. Life is beautiful and confusing and amazing and unexpected and so many things that oppose each other, but somehow it all still makes sense and works out. It's the same with this energy. Maybe I sound crazy to you, but if you even just semi understand what I'm saying, then you've felt this energy too! Maybe this extra energy is coming from the absolutely amazing weekend I have had and maybe it's just that feeling in the air. I cooked Thanksgiving dinner for my family and surprised them with it when they came to visit on Friday. I realise that Thanksgiving was Thursday, but Thursday just isn't possible for any of us, since it's not celebrated in Denmark and none of us have time off for it - so we couldn't have the dinner Thursday. This year we had just decided to not do it because it just didn't seem like a possibility logistically, but semi-last minute I decided to try and do it on my own. I love Thanksgiving and the concept behind it and it's meaning. It's one of those traditions that I want to carry on for the rest of my life. I'm truly just so excited that everything turned out perfectly and tasted great! Far from what I expected and my families reaction made it worth all of the hours spent on trying to get everything together. A little cliché but there is genuinely nothing better than making your family happy - or anyone else for that matter. Being together and being happy is all that really matters in the big picture right? Probably is why I'm feeling so full of energy this Sunday. I'm just so grateful for my family and all of the beautiful people in my life. That's just some thoughts I'll leave you with today, along with the Happy 5 for the week. What a busy week that has finally reached the weekend. Well now that is Saturday afternoon, the weekend is already half over. Time is a funny thing - I feel like time flies by so quickly now as opposed to when we were children. Maybe I'm thinking about this now because the weekend is just flying by and seems to every weekend. Or maybe it's because of the thoughts of "growing up" that have gone through my head this week with writing the little post Growing Up. A 21 Year Olds Perspective. Currently, I'm snuggled up on the coach with a bunch of pillows, a big blanket, some tea and little Skipper snuggled up next to me. Oh and I'm watching Riverdale. And I'm #obsessed. Yes I am now on this new Netflix trend. With a little multi-tasking, I am getting this Happy 5 out there, even though, to be completely honest, I really has a hard time writing this today. But there is always light and here are my Happy 5 this morning. And it's Friday again. This week has both felt hectic, pressed for time and long at the same time. How is that possible? Just a little random thought from me, here this Friday afternoon, sitting on my couch. Definitely not feeling like myself this week, which is why it's so incredibly important that I write this Happy 5 this week. Usually when things are just a wee bit overwhelming or even painful, it's good that we can dive into our work to keep us busy. Which is great, 100%, but it's more important to remember to take care of yourself. One thing I am truly certain of, is how incredibly grateful I am for all the amazing people in my life. I've seriously got one hell of a support system. 4. This chilly fall/almost winter weather we have going on & NO RAIN! 5. It's November... which means Christmas music - woot woot! 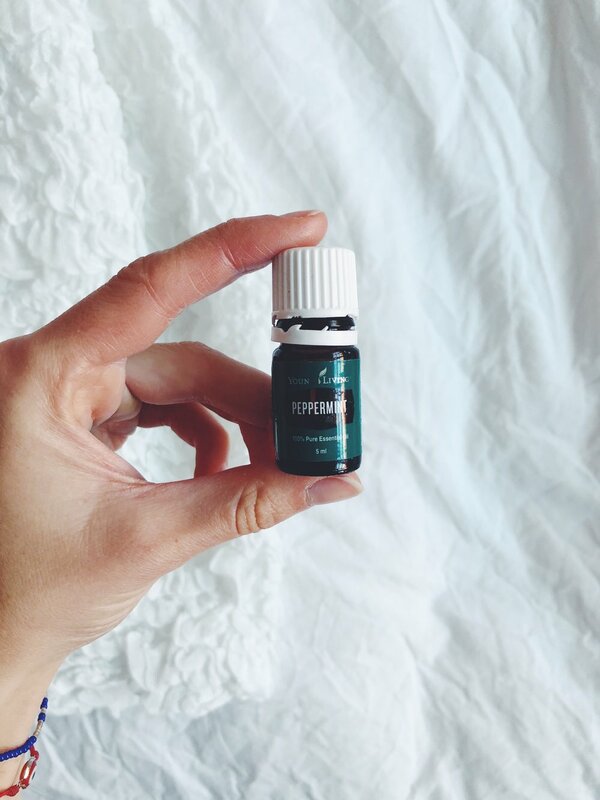 BONUS Happy 5: The Benefits of Peppermint Oil post is out!